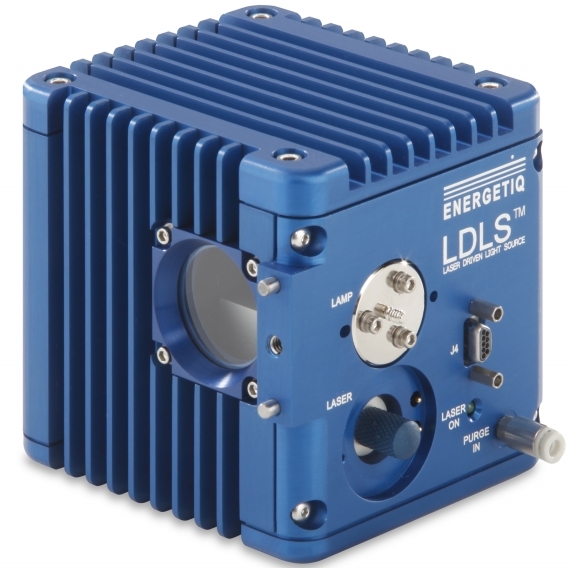 LDLS™ EQ-99 Manager - The Smart Controller for Laser-Driven Light Sources from Energetiq Technology, Inc.
12th February 2013 – Harpenden, UK - Elliot Scientific are pleased to announce the introduction of the LDLS™ EQ-99 Manager to the UK and Ireland from Energetiq Technology, Inc. This new smart controller offers enhanced control of the EQ-99 series of Laser-Driven Light Sources (LDLS), adding valuable functionality to the brightest, longest lasting, broadband light source available today. The EQ-99 Manager connects to a computer via USB, allowing easy control and monitoring of the status of the LDLS™, including bulb operation hours and other parameters. A bright LED front-panel display can also show this information. 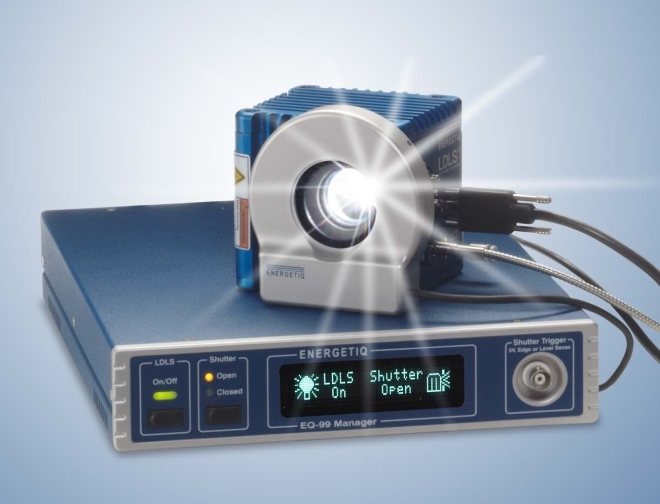 An advanced shutter controller is incorporated within the EQ-99 Manager allowing the optional EQ-99 Shutter, which can be mounted to the window of the EQ-99 or directly to an optical bench, to offer a variety of control modes and a programmable shutter speed. Energetiq’s Laser-Driven Light Sources are ground-breaking products that offer the brightest, longest lasting, broadband light for researchers working in demanding imaging and analytical spectroscopy applications. Energetiq’s patented laser-driven technology enables extreme high brightness over a broad spectral range — from 170 nm through visible into the near infrared. The EQ-99 Manager is compatible with the EQ-99, EQ-99FC and EQ-99CAL Laser-Driven Light Source products. Elliot Scientific, based in Harpenden, is a major UK supplier of Opto-Mechanic, Laser, Cryogenic, Magnetic and Fibre-Optic components and systems to the Scientific, Research and Industrial communities. We manufacture our own ranges, including the award winning Optical Tweezer systems, that are marketed under the Elliot|Martock and Elliot Scientific brands, and also offer high-tech products and equipment from leading manufacturers based around the world. For more information, please visit http://www.elliotscientific.com. Energetiq Technology, Inc. of Woburn, Massachusetts, is a developer and manufacturer of advanced light sources that enable the analysis and manufacture nano-scale structures and products. The Energetiq team combines its deep understanding of the high power plasma physics needed for high-brightness light generation with its long experience in building rugged industrial and scientific products. The result is that users can expect the highest levels of performance combined with the highest reliability.